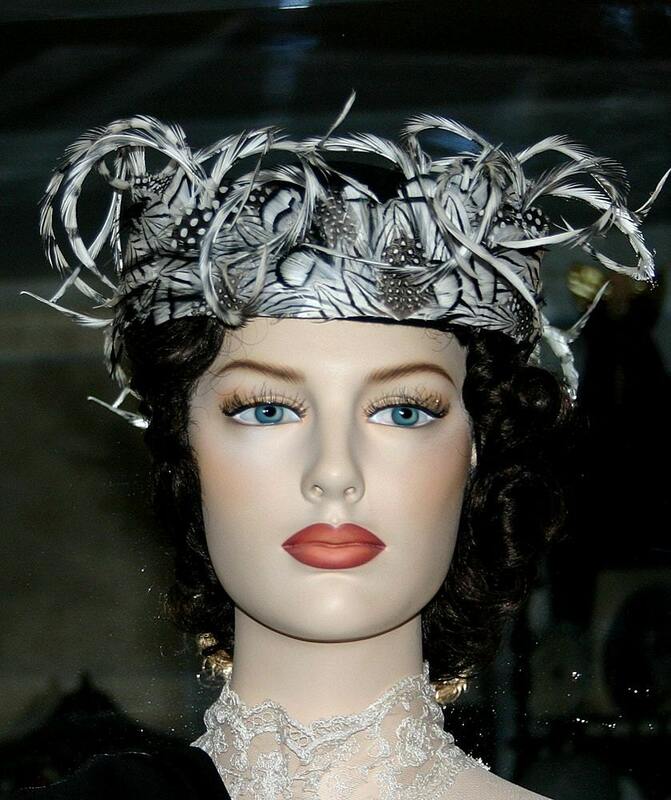 "My Little Chickadee" is a darling little wool pill box hat. 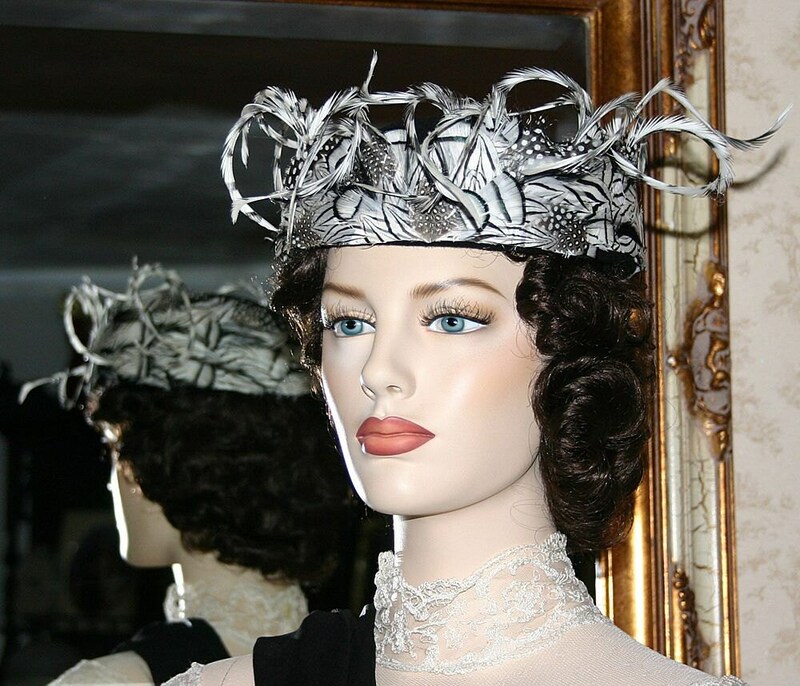 It's perfect for church, wedding or cocktail party. 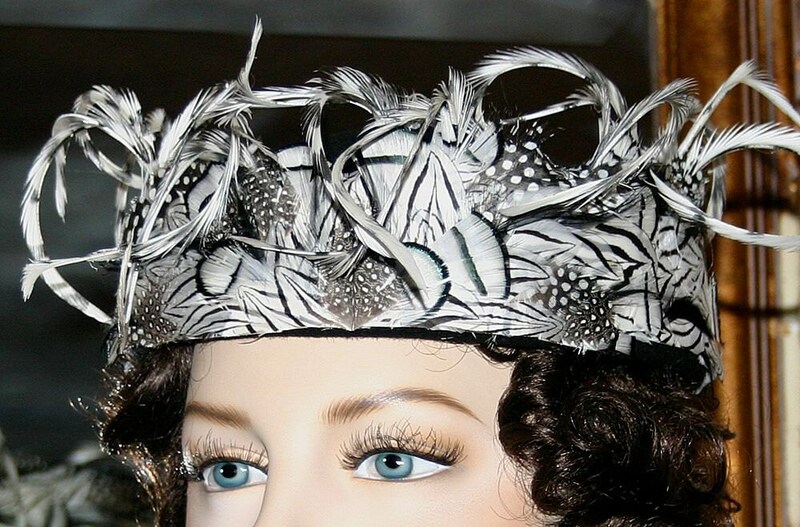 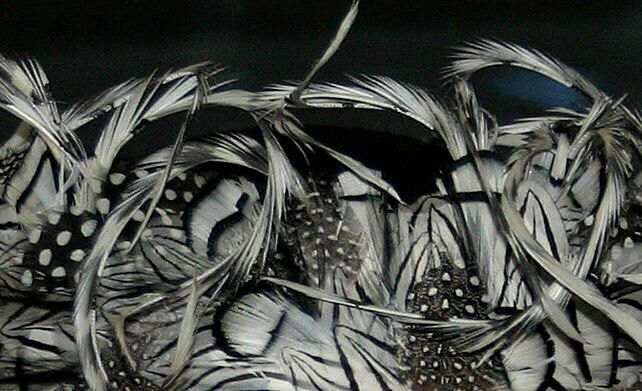 Petite Silver, white and black feathers cover the hat. 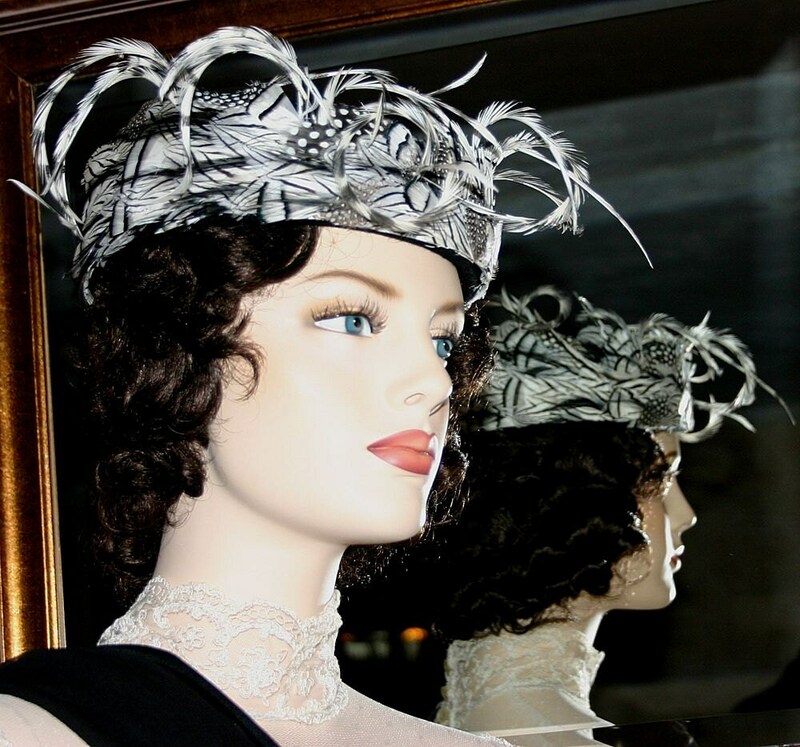 Dainty black and white goose biots accent the hat.